Picking up a side gig is a great way to make extra money. There are so many options, from driving for a rideshare program to pet sitting, but you probably never thought of notarizing documents as a source of income. Being a Notary Public is something you can do on your own schedule, making it a great side hustle. And unlike a lot of other part-time jobs, it adds marketable skills to your resume. You may be wondering what a Notary Public does. Notaries are public officials commissioned by their state governments to serve as impartial witnesses for various fraud-deterrent acts, including verifying a signer’s identity, determining that they are a willing participant in the transaction and that they’re aware of what it is they intend to sign. 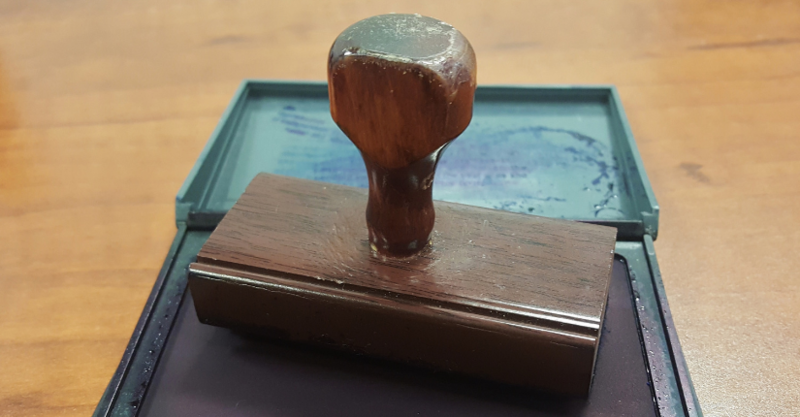 Each state has its own specific guidelines for becoming a commissioned Notary, but, in general, the process consists of submitting a completed application form, paying your state’s nominal application fee, buying any Notary supplies, and filing your oath of office with the appropriate Notary regulating office. Your state may also require getting a surety bond to protect the public. Some states also require Notary applicants to complete a training course and/or pass an exam. Once commissioned, there are different types of notarial acts that you will perform. Some of the most common are acknowledgements, which involve a document signer acknowledging it’s their signature on the document; and jurats, where a signer swears the contents of a document are true through an oath or affirmation given by the Notary. Notaries can charge for their services, but they must adhere to the maximum fees allowed by their state for providing each specific notarial act. In addition, you can charge clients a travel fee if you go to them to provide your services, or other business service fees if the signer agrees to the charge(s) beforehand. Beyond collecting notarial fees, here are the top ways to make money as a Notary. While you can notarize in your home or office, you’ll often get more business if you’re willing to travel. Mobile Notaries go directly to clients to provide their services. Not only does this open up more assignments for you, but you can also charge for travel expenses. Some states designate a travel fee, while others allow you to set your own. Keep in mind that you’ll likely be competing with other Notaries in your area, so it’s best to keep your travel fees reasonable. Additionally, you can deduct mileage expenses on your taxes. Make sure you carefully record mileage and keep business travel separate from personal travel. Charge the travel fee separately from your notarial fee (some states require this), and make sure your client knows the fees are separate. Agree upon the travel fee amount before you leave to meet the client. Have a clear policy in place for situations where the notarization cannot be completed (the signer is missing proper identification, the document is incomplete, etc.). Will you still charge the travel fee? Be sure the client knows and understands your policy. Notaries can provide their services statewide, so if you’d like to take on even more work, simply widen your travel radius. A Notary Signing Agent (NSA) is hired by lenders (usually mortgage finance institutions), title companies or signing service companies to notarize loan documents. Providing this service can be quite profitable. Each NSA must negotiate their own fees based on their business expenses, the companies they work with, travel and time required for assignments, and the demand for signing services in their area. NSAs may also charge for delivering the loan documents to the lender. It’s important to note that you must be a commissioned Notary Public before you can become certified as a Notary Signing Agent. And most companies that use your services require an annual background screening as well as additional training. How Much Can You Make as A Notary Public? Click on the image to access the full-size infographic. If you are considering this side hustle, you’re probably wondering how much money you can make as a Notary. Every Notary’s income varies depending on their state’s fee schedule, what services they offer, and how many signings they perform each month. The National Notary Association surveyed more than 2,300 Notaries for its 2017 Mobile Notary Survey, in which 49% of respondents working as part-time Notaries reported earning up to $250 per month. 15% of part-time Notary respondents reported a monthly income of $250 – $500, 16% said their monthly income is between $501 – $1,000, and 13% said their monthly Notary income falls within the range of $1,001 – $2,000. Please Note: This data was received in response to a survey and is not meant to set prices for notarial services. Even if you stick to mobile Notary work as a side gig without going the extra step of becoming a Notary Signing Agent, it’s still a great way to make extra money. After all, everyone needs a document notarized at some point! Consider starting locally and advertising your services to your current personal and professional networks. Who knows, you may even decide to start a full-time Notary business and quit your day job! Kat Garcia is the Content Strategy Manager for the National Notary Association (NNA). Established in 1957, the NNA is the leading professional authority on the American Notary office and is dedicated to educating, serving and advocating for the nation’s 4.4 million Notaries.